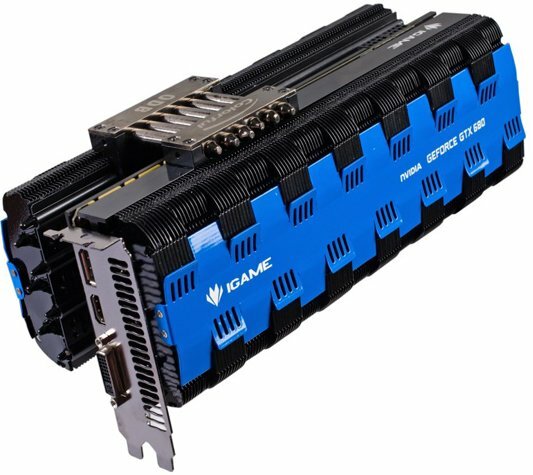 Colorful shows off world's first fanless GeForce GTX 680 graphics card; the iGame GTX 680 passive. 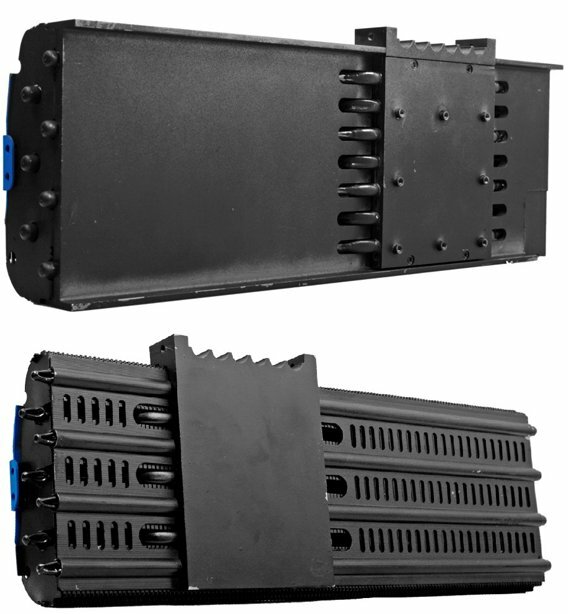 This new model features two aluminium fin arrays, and a grand total of twenty heatpipes, including seven heatpipes to draw heat away from the GPU and another six heatpipes that are used to join the two aluminium stacks. It's unknown if this design will hit the retail market, Colorful is reportedly still assessing the marketability of this product. The cooler cumulatively has 20 heat pipes, a surface area of 200 square meters across 280 aluminum fins. The second module is optional, and is only recommended if the operating environment is warm, or if the end user is overclocking. The card is said to use a complex VRM design that draws power from two 8-pin PCIe power connectors, though we suspect the idea behind that to be heat spreading. The design guarantees reliable silent operation at reference clock speeds or mild overclocking. Display outputs include one each of dual-link DVI, HDMI, and DisplayPort.